Using a curated dictionary of known compromised passwords and dozens of password filters, StealthINTERCEPT Enterprise Password Enforcer (EPE) safeguards your organization from authentication-based attacks. This is accomplished by proactively preventing these weak and compromised passwords from being used – regardless of whether or not they meet complexity requirements – further enforcing password hygiene and reducing the opportunity for attackers to crack or guess passwords in automated or manual fashions. Our customers are constantly coming up with unique ways to better utilize Enterprise Password Enforcer. One trick that I have seen involves creating a different and more complex policy for your privileged accounts. 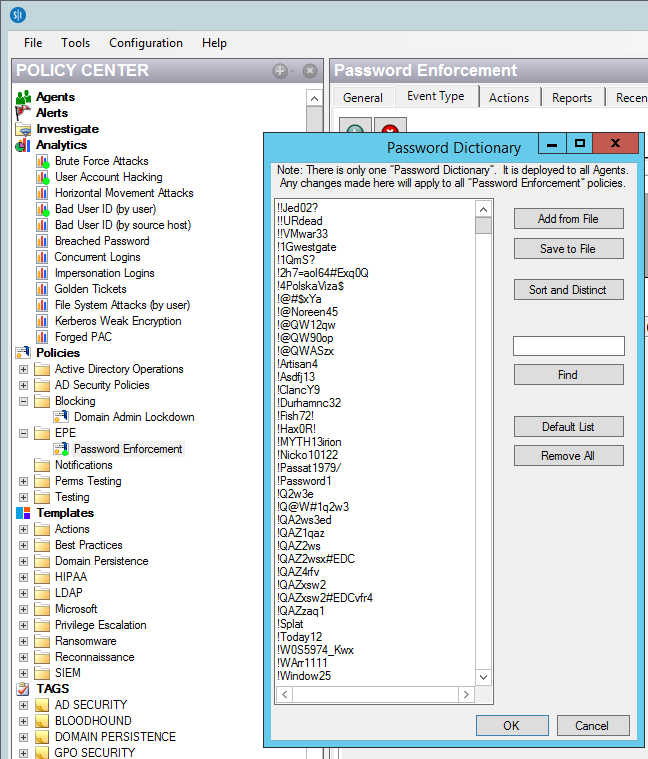 You can achieve this by creating two (or more) Password Enforcement Registrations under the same EPE policy. This allows you to make complex password rules for your privileged accounts. This is a great way to add an extra layer of complexity for all of your critical accounts and administrators by requiring longer lengths, specific characters, etc., while maintaining a complex policy for your standard users.